Digestive enzymes, digestion….health and happiness…. Poor nutrition is the epicenter of virtually every disease. We are what we eat, digest & absorb. An error many make in health is thinking because we ate something – we absorbed the nutrition, a very unreliable assumption. Age, poor food choices, certain medications, alcohol, smoking, lack of physical activity are all too common – and sabotage the body’s potential for full digestion & absorption. A misdiagnosed use of antacids, popping them haphazardly & incorrectly is another serious culprit with digestive health. The symptoms of high stomach acid that make people irresponsibly chug antacids are very similar to the sensation felt by low stomach acid. Antacids are not to be taken flippantly, our stomach acid is another critical step to proper digestion. Digestive Enzymes – the magic? Digestive enzymes break down our foods into absorbable & utilizable components. Each enzyme has a very specific function – it is necessary we get all the enzymes – they are not interchangeable. Poor digestive health is rampant, and unfortunately undetected & underemphasized, & dare I say under appreciated in western medicine. Digestive health is critical to disease prevention & recovery. Think of digestive enzymes as a tummy rub from the inside! We have 2 main ways of getting our digestive enzymes: The food we eat: cooking denatures enzymes, so we need to eat plenty of raw fruits and vegetables. Another issue here is soil depletion – our foods can be filled with toxins which destroy enzymes & because the soil is over tilled can be depleted in precious nutrients. Good foods to eat for digestive enzymes: Pineapple, papaya, sea vegetables, greek yogurt (un flavoured please), mango, wheat grass, shitake mushrooms, sprouts, cabbage, apples, cherries, peppers, unpasteurized honey, apple cider vinegar – which is great as a salad dressing! Our body makes enzymes in the mouth, stomach, intestinal tract & pancreas. Enzymes are made with proteins, which have been broken down into their building blocks called amino acids. With poor protein absorption & an over burdened pancreas from years of poor lifestyle choices, enzyme production is compromised. Drinking too much water (fluids) with meals – dilutes digestive enzymes. The body is reliant on protein availability to form digestive enzymes – and we emphasize the importance of getting sufficient protein in our diets for our bodies to be able to perform its thousands of functions. With poor protein bioavailability we decrease our ability to make digestive enzymes, and with insufficient enzymes, we can’t break down the nutrients to their usable form – a cycle of bodily breakdown. 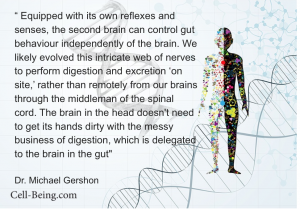 As I have spoken about in many articles on line and in speaking engagements- – never forget the belly brain – our gut produces the vast majority of our happy hormone serotonin. The amino acid Tryptophan has a leading role in the production of serotonin. Healthy digestive enzyme levels are very necessary for serotonin. 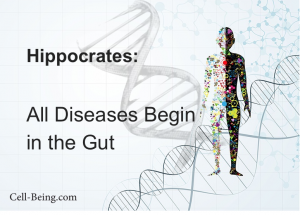 We now know that digestive enzymes serve many critical roles in the body – beyond digestion. They are now thought to be key in ridding the body of toxins, reducing autoimmunity (diseases such as arthritis & lupus) & inflammation, and speed the healing of the body after injury or surgery. More and more research is uncovering the importance of digestive enzymes in the anti aging process, and they are now being used to boost cancer treatment. I think where I get most frustrated with western medicine is the massive sweeping of symptoms into a category called IBS – Irritable Bowel Syndrome. There is no one treatment and again unfortunately pushing antacids is often the answer – which could easily exacerbate the situation. This is why I insist we all need a good M.D. and N.D. – Naturopathic Doctor. Naturopathy respects the GI tract as holding the keys to the Magic Kingdom. Yes, some Medical Doctors do as well, not enough. Often the answer becomes rote, forgive me regurgitated solutions such as eliminating certain precious foods, or popping meds. Bloat – we all just love that! Long Term digestive enzyme depletion can be serious. Get it checked. It is just that easy to modify, prevent disease, and feel really good!